On January 8th, 2016, the world watched in awe as news broke out that Joaquín “El Chapo” Guzmán, the world’s most powerful drug kingpin, had finally been recaptured by Mexican marines in Los Mochis, Sinaloa. His final capture had occurred six months after he had escaped from a maximum security prison in Mexico through a mile-long underground passage. Today, Guzman awaits trial in a maximum security prison in New York. How did a young rancher from the mountains of Sinaloa become one of the most wanted billionaire drug lords in the world? What caused him to be transformed into a ruthless monster? Born on April 4, 1957, Joaquín Guzmán was from a poor family in the small Mexican town of Badiraguato. His father was very abusive and supported the family by growing marijuana for the drug trade. His father would send his sons to the top of the mountains to harvest their crops. At fifteen years old, he began growing, harvesting, and distributing poppy, a plant used to make heroin, and marijuana. He and his cousins managed an entire plantation for marijuana. Little by little he increased his profits to fully support his family. His deeply rooted family background in the drug trade was a major cause for his transformation into a monster. Another major cause in the creation of his monstrosity is his close ties to powerful kingpins. He discovered that his profits can be greatly increased with the distribution from cocaine. He found himself working for the largest cartel at the time, the Guadalajara cartel, and legendary Colombian kingpin, Miguel Ángel Félix Gallardo. Guzmán would started to control his business with brutality and force by putting a bullet through any of his smugglers who were late upon delivery. Recognized by Gallardo for his talent in the business, Guzmán is promoted to Gallardo’s right hand man to manage multiple shipments to be distributed into the United States. After the arrest of Miguel Ángel Félix Gallardo, the Guadalajara Cartel broke up, leaving conflict in the drug trade business. Finally, after many altercations with other drug lords, Guzman had gained some control over Sinaloa. This allowed him to push his aggressive and genius business tactics to new heights. Guzman founded the Sinaloa Cartel, making him a billionaire. These “achievements” have made El Chapo to be of a mythical, godlike status among the Mexican people. In Sinaloa, he is considered their savior because he supports the local cities by buying churches, gyms, paving roads. Etc. The townspeople believe that he is everything that the government wasn’t. The townspeople loved and respected him to the point that they would alert him when the authorities were near. He is also honored through folk-songs, or narco corridos. In Los Tucanes de Tijuana’s song, El Papa de los Pollitos, El Chapo is perceived as the absolute ruler. The songs talks about how he rules with an iron fist and anyone who crosses him will be dealt with. The title is roughly translated to the father of the baby chicks, which means boss of all the bosses. This fully supports his comeuppance as a monster because not only does he do terrible things but he has a large group of people that support and praise him. According to thesis one of Jeffrey Cohen’s Seven Theses of Monster Culture, the “ Monster’s body is a Cultural Body (Cohen).” This means that the monster is a result of the current cultural movement or ideas. I believe that Joaquín “El Chapo” Guzmán and every other cartel member are monsters in modern society because of the War on Drugs. In 1969 the term “war on drugs” was used by Richard Nixon to enforce a set of laws that would discourage the use, distribution, and consumption of drugs. It resulted in an effort to eliminate the recreational use of any drug deemed illegal and the incarceration of one million citizens every year. The “War on Drugs” is a very big political and social issue today. El Chapo would not have been a successful criminal if drugs did not need to be obtained illegally. El Chapo and other cartel members are a result of the culture because the war on Drugs has been a major political focus. The major cause in creation of this monster is his own creation. The Sinaloa Cartel is the largest and most powerful drug trafficking organization in the western hemisphere. 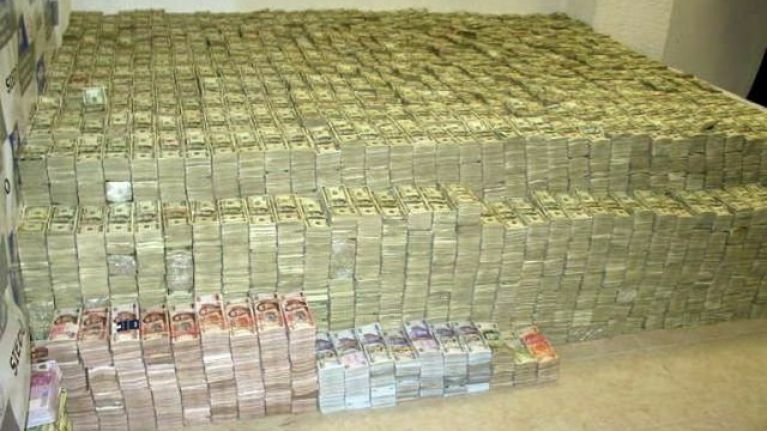 The organization brings in roughly three billion dollars a year (Drug Lords). The organizations control and networking reaches every single major city in the United States, and operates in seventeen Mexican states and over fifty countries. The success and power of the Sinaloa Cartel is owed to the genius strategies of El Chapo making it his biggest cause in the creation of his monstrosity. Today, El Chapo is an media icon and the face of the war on drugs. He is the face of one of the most dangerous and powerful drug trafficking organization in the world that continues to be a threat to the U.S. national security today. He has given a cause to support the end of allowing immigrants to our country and fear the cartel and gang members that come out of Mexico. A huge part of President Donald Trump’s agenda was immigration security by building a wall. This wall is said to keep out dangerous criminals, such as El Chapo, from Mexico. Another effect he has today is his representation in the media. A song titled, “El Chapo” by hip-hop artist, The Game, gives the impression that he is godlike and absolute by continuously repeating the lines, “ El Chapo. I am the God.” He is name-dropped in various hip-hop songs to represent absolute power, wealth and ruthlessness. There are many causes for the creation of Joaquin Guzman. From his family history, to his genius business strategies to his ruthless way, he was destined to be what we fear. He is merely a face to put on the countless other monsters that are still roaming free in world of the cartel. Fortunately, this monster will be locked up for a very long time. Cohen, Jeffery J. Monster Theory: Reading Culture. 1st ed., Univ Of Minnesota Press, 1996. This source tells about the seven theses of monster culture. It is used to analyse the monster and give a better understanding as to why I chose this monster. This source was a given in class, so I assume it is credible. Heinle, Kimberly. Drug Violence in Mexico. Department of Political Science & International Relations University of San Diego, 2017. This source tells about the drug violence in Mexico. I plan to use this source to give information more of a background on the topic. I assume this source is credible because it comes from a library database and it is from the university of San Diego. “Guzmán, Joaquín.” Gale Biographies: Popular People, edited by Gale Cengage Learning, 1st edition, 2018. Credo Reference, https://search.credoreference.com/content/entry/galegbpp/guzman_joaquin/0?institutionId=5312. Accessed 18 Jul. 2018. This source gives a brief history on Joaquín “El Chapo” Guzmán’s life leading up to his capture in 2016. It also provides related information on this subject and its references. I will use this formation to introduce my “monster” and for further information from the sources it provides. I assume this source is credible because it is from a Library Database reference. Los Tucanes de Tijuana “El Papá De Los Pollitos.” El Papá De Los Pollitos, Master Q Music, 2014. Schroth, et al. ““War on Drugs”” Encyclopedia of Drug Policy: “The War on Drugs” Past, Present, and Future, edited by Mark Kleiman, and James Hawdon, Sage Publications, 1st edition, 2011. Credo Reference, https://search.credoreference.com/content/topic/war_on_drugs?institutionId=5312. Accessed 29 Jul. 2018. “Sinaloa Cartel.” InSight Crime, 30 Jan. 2018, http://www.insightcrime.org/mexico-organized-crime-news/sinaloa-cartel-profile/.This source was used to give information on the Sinaloa Drug organization. The source’s website is a used to give information on various topics related to crime. The Game. 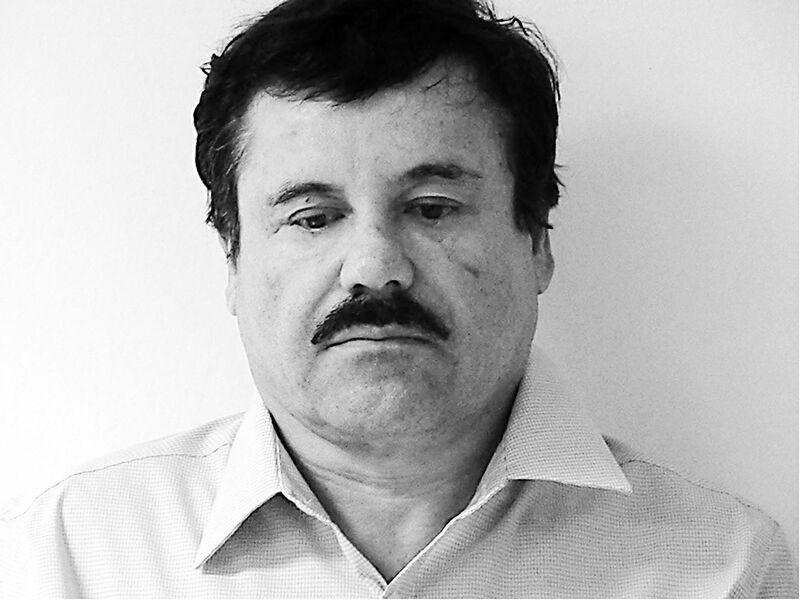 “El Chapo.” 9 Oct. 2015.